Princess & the Paper presented by A Jillian Vance Design: 25 Days of Christmas Tags! 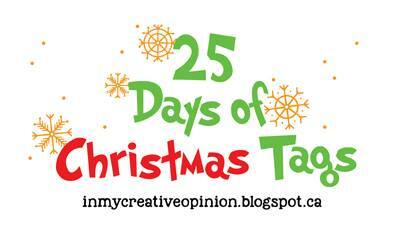 I am so honored Tracey chose us for the Bonus day of her 25 Days of Christmas Tags!!! 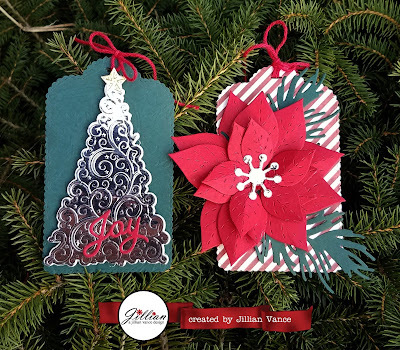 Please head on over the the A Jillian Vance Design blog to see them all! Oooh, how beautiful. I love these tags. The tree is so elegant as is the poinsettia. WOW! Your tags are gorgeous, and it's so fun seeing your amazing products showcased so beautifully. I've been so inspired during this special event, and I than you for sharing. Wow! These two tags are gorgeous! What beautiful dies! 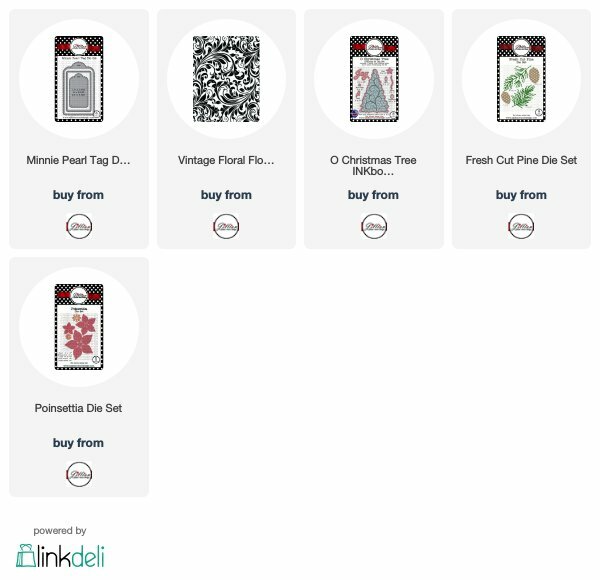 Gorgeous tags - love that layered, deep red poinsettia and the embossed silver tree is stunning! Wow, what gorgeous and elegant tags! Love the layers, textures and dimension. The silver tree is gorgeous. The poinsettia looks so real. Wow, your tags are gorgeous! The embossed tree is stunning - is that done with mirrored cardstock? The poinsettia tag is beautiful with all the depth and dimension from the layers of petals. Thanks for the inspiration! Both tags are lovely! The swirls on the tree and background are wonderful and I love the texture in the poinsettia as well as the striped background paper! Thanks so much for sharing and inspiring! These are lovely! That tree is very elegant!